It makes scary reading, but on average, a car is stolen every 2 minutes in the UK, with many of those vehicles never returning to their rightful owners. 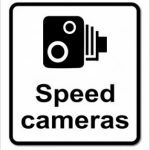 Whilst good security can do so much to prevent your car falling victim to theft, if it does happen a tracking security device would mean you’re much more likely to see your vehicle again and quickly. Your car means so much to you and should the worse happen you’ll know you’ve done all you can to ensure its return. 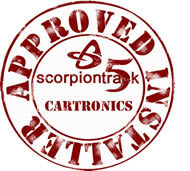 Here at Cartronics we can supply and fit insurance approved tracking security devices for your car. Cartronics are approved Thatcham CAT 5 (Category 5) and Thatcham CAT 6 (Category 6) installers and provide same day fitting of your tracking device so your vehicle is insured right away. Cartronics proudly supply and install tracking security devices from a number of brands, including the full Scorpion and Cobra ranges; from 24hr secure monitoring and car location App for your PC or smartphone up to entire fleet management. Scorpion Fleet Tracker, How much are you losing in time, fuel costs and man hours? We specialise in seamless installation using quality components. This means fitting your new system while still leaving your car in its original condition. We can fit tracking security devices to all makes of car (and motorbikes as well), for peace of mind and a quality service contact Cartronics for a quote today.